A harp design back complements the arch wood top on this side chair. An upholstered chocolate brown faux leather seat and curved metal legs complete the side chair's design. 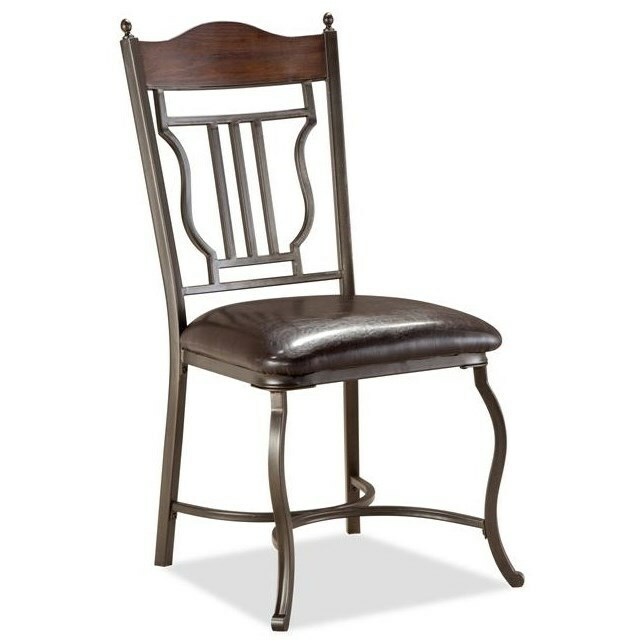 The Midland Metal/Wood Side Chair at Miskelly Furniture in the Jackson, Pearl, Madison, Ridgeland, Flowood Mississippi area. Product availability may vary. Contact us for the most current availability on this product. Browse other items in the Midland collection from Miskelly Furniture in the Jackson, Pearl, Madison, Ridgeland, Flowood Mississippi area.